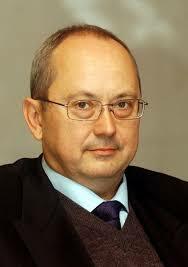 Professor Marek Šmid has been since August 2011 Rector of the Trnava University, Slovakia. In May 2018, following two terms as Vice-President, he was elected President of the Slovak Rectors’ Conference (SRC). Professor Šmid is an expert in the constitutional law, a member of the Legislative Board of the Slovak Government, and a former diplomat. He completed his studies at the Faculty of Law of the Comenius University in Bratislava in 1983 and in 1985 won the title Doctor of Law (JUDr.). In 1989, he became a member of the Parliamentary Investigative Commission for Explaining Police Incident Events at Hviezdoslav Square in Bratislava on March 25, 1988. In the same year he joined the General Prosecutor’s Office as a prosecutor. From 1991 he began to work abroad at the Law Faculty of Comenius University as a teacher. In 1992 he successfully passed the judicial examination and participated in the foundation of the University of Trnava as a legal advisor, where he began to act as a university lecturer. In 1993 he graduated from the Faculty of Arts of Trnava University (Faculty of Humanities) and in 1996 he received a (PhD) in the field of theory of state and law. One year later, he habilitated the associate professor of social work at the Faculty of Health and Social Work of the University of Trnava (then Faculty of Nursing and Social Work). In the same year he became vice-rector of Trnava University. In 1998 he participated in the founding of the Faculty of Law of the University. In 2004 he became Head of the Department of International Law and European Law at the Faculty of Law in Trnava. In 2005 he became associate professor of law at the Faculty of Law of Trnava University, and in 2006 was appointed professor in the field of constitutional law. In 2008 he became Director of the Institute for Legal Freedom of Religion at Trnava University and in 2010 became Dean of the Faculty of Law, a position he held until his appointment as Rector in 2011.